Is it not a shame that we need to have a special day to celebrate women when they are so already fantastic and exceptionally brilliant in the physical sciences? Today’s Inspiring Future Women in Science conference was a success. 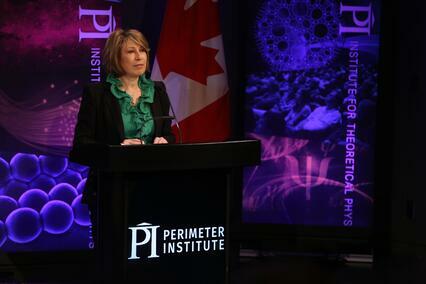 Mona Nemar, Canada’s Chief Science Advisor, gave opening remarks encouraging the students in attendance to take advantage of the opportunity to learn from the speakers to come. Mona, read my above post on women getting not published. The speakers and panelists, who included a chemist, engineer, astronomer, ecologist, and surgeon, talked about the challenges and triumphs that a career in STEM brings. Students were then treated to a speed mentoring session where they were able to ask questions and interact with women from a broad number of STEM careers. Read more about how this conference is inspiring young women here. 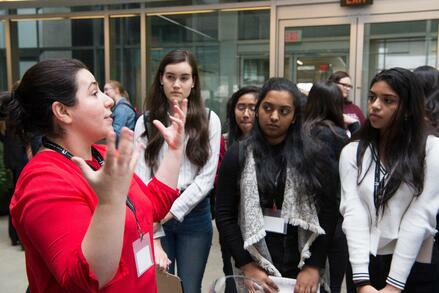 Programs like Perimeter’s “Inspiring Future Women in Science” conference are helping young women see their own potential and reach out for careers in STEM. And more talented female scientists today, means a brighter future tomorrow. Thank you for being part of the equation.